Features. 16 x 20 x 1 in. 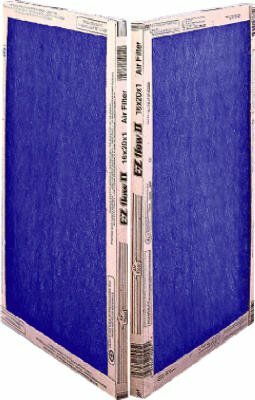 EZ Flow II Spun Fiberglass Disposable Furnace Filter.. Flat Panel No Metal Media Retainers.. Up To MERV Rating 4 30 Day Filter.. Effective Against DustLint.. Pack of 12.. Dimension - 19.5 x 15.75 x 0.75 in.. Item Weight - 0.33 lbs. 16 x 20 x 1 in. EZ Flow II Spun Fiberglass Disposable Furnace Filter. Flat Panel, No Metal Media Retainers. Up To MERV Rating 4, 30 Day Filter. Diguo Clever Coffee Immersion Dripper with Paperless 18/8 Stainless Steel Permanent Filter, BPA-Free, Immersion Coffee and Tea, Making Good Coffee is Never Easier.